Web development is one of the fastest growing fields in the technology sector. 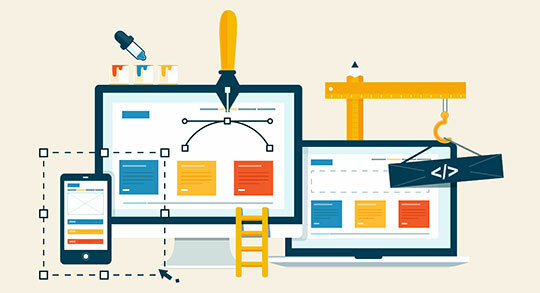 With the rise of new and powerful front-end development solutions, the scope of website building and user interface designing is growing quite rapidly. Today, we have a range of web application development frameworks, UI libraries, mobile development technologies and several new software applications in the market. These front-end frameworks and libraries allow developers to experiment with a range of new possibilities in diverse areas of web development. So, if you are looking forward to learning some new and exciting technology skills which are relevant in the job market, then you should check out the latest technology courses offered by Eduonix. Eduonix is one of the leading providers of e-learning platforms in the market. The company has released several self-paced, instructional video courses related to technology, software development, programming languages and web development. The company’s vocational training and industry-specific courses have met with considerable success in the past few years. Currently, Eduonix is offering a range of online video courses catering to the latest web development technologies at a great discount of $10 for all RSWebsols readers. So don’t lose this opportunity to grab this offer. These courses will equip students as well as working professionals with the necessary skill set allowing them to excel in various fields like UI designing, server-side programming, web development, mobile application development and more. Alright, so let us check out this list of 5 Eduonix Courses to Learn the Latest Web Development Technologies. Angular.js is a powerful web development technology, which is also quite popular amongst web developers. Recently, Angular.js went through a major version update and Angular 2 was released. Angular 2 is a modern and cross-platform front-end framework which has retained all the major features of Angular.js. Besides, Angular 2 also provides additional features and capabilities, such as robust support for mobile development, easy object orientation, reusable components and incorporation of Flux and React.js. ‘Angular 2 Fundamentals for Web Developers’ is an instructor-led video course offered by Eduonix which explains the fundamental concepts of Angular 2. The course teaches to develop cross-platform web applications using Angular 2. This Angular 2 tutorial features 41 video lectures and covers several important topics, such as data binding, working with asynchronous data, directives, HTTP module, user interface design and more. Mobile development is a niche field having tremendous scope in terms of career growth. But, one of the biggest challenges faced by mobile developers is to make mobile applications and mobile websites work seamlessly on multiple devices as well as platforms. jQuery Mobile is one such powerful software technology which allows mobile developers to develop cross-platform mobile applications which run on various mobile devices like smartphones and tablets. jQuery mobile applications support various mobile operating systems, such as iOS, Android, and Windows. PHP programmers who want to leverage the power of PHP Cake Framework should look no further than the latest web development course from Eduonix. ‘Build Web Apps with PHP Cake Framework’ is a suitable course for developers who want to learn to build modern web applications using Cake PHP framework. Cake PHP is an advanced, open-source PHP framework providing numerous features such as form validation, CSRF protection, XSS prevention, scaffolding and code generation. ‘Build Web Apps with PHP Cake Framework’ provides hands-on training on building modern websites, web applications, and robust prototypes quickly and effectively with Cake PHP. It is a project-based course featuring 32 video lectures and several other educational resources, including slides, project files, and code exercises. The course curriculum comprises 8 sections covering a range of relevant concepts, such as server-side development, object-oriented programming, PHP templates and relational databases. The course explains numerous useful topics like controllers, routing, Cake PHP installation and environment setup, views, models, templates and more. Moreover, it provides practical training to learners allowing them to build a fully-functional, project management application from scratch. Data visualization is an important aspect of modern business processes. It allows presenting data through interactive visual elements, such as statistical diagrams, pie charts, bar charts and more. Data visualization enables business owners to present complex data in an easy-to-understand manner. It helps business owners in discovering interesting insights and trends and taking improved business decisions. Eduonix is offering a brand new technology course for PHP programmers, who are keen on learning web application development using the latest version of Laravel PHP framework. Laravel is one of the most powerful and popular, open-source PHP frameworks in the market. The latest version of Laravel framework is packed with some modern and useful features, such as queue library, object-relational mapping (ORM), routing, authentication and more. ‘Build Web Apps with Laravel Framework in PHP’ is an instructional video course comprising 39 lectures. The course curriculum covers important topics, such as using ORM and query builder, working with routes and controllers, understanding restful controllers and more. It allows PHP developers to learn in-depth about the various new features of Laravel as well as get practical training on building a complete web application in PHP. ‘Build Web Apps with Laravel Framework in PHP’ is an ideal course for every PHP programmer out there. Eduonix courses are instructor-led video courses which deliver flexible and effective skill development solutions. These latest web development courses are specifically designed to cover the relevant topics and provide practical learning solutions. The course content has been developed by a team of industry experts and the language of the course is simple to understand. Moreover, all these latest technology courses which are offered by Eduonix are currently available at a discounted rate for a limited period of time only. So, I urge the readers of RS Web Solutions to take benefit of this learning opportunity and join their favorite course right away. I wish good luck to all the learning enthusiasts out there in their endeavors towards becoming a professional web developer. Nice post. It was really informative, In this article you are discussing about latest web development technologie. These all are very useful for who is searching for latest web development updates. I like angularJS with Laravel framework. But after reading your article, I need much time for learning your suggestion. Thank for sharing.